U.S. Home Prices Continue Slow, Steady Climb Upward : The Two-Way Home prices are up in nearly all of the Standard & Poor's/Case-Shiller Index, which tracks prices in 20 cities. A pending home sale in Palo Alto, Calif. on Aug. 21, 2012. A new housing study finds U.S. home prices around the country showed solid growth in August, 2012, compared to the same time period a year ago. The latest Standard & Poor's/Case-Shiller Index tracks home prices in 20 cities, and many areas that suffered during the housing crisis are showing strong improvement, notes the AP. This includes Phoenix, Las Vegas, Tampa and Miami. 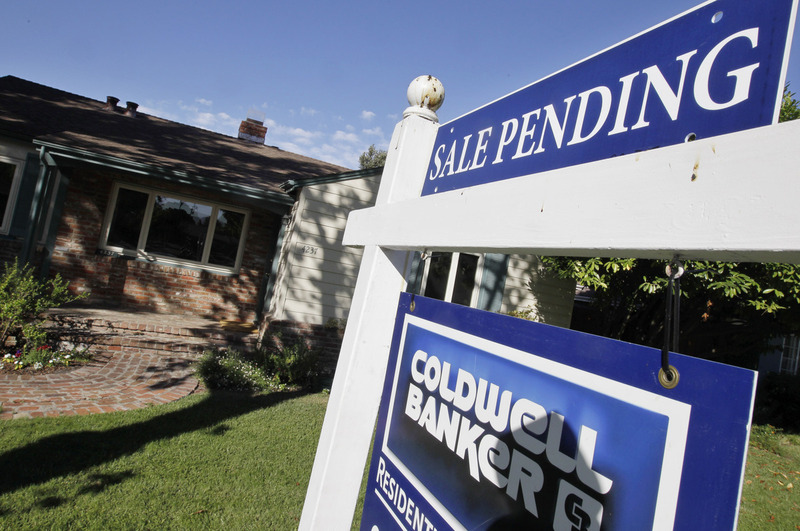 Phoenix led the way in gains: home prices there climbed 18.8 percent from what they were in August, 2012. This is the fourth month in a row the Arizona capital saw a double digit home price gain. The index also tracked price changes from July to August of this year and again, the housing news looks better. Home prices increased in all cities, except Seattle, which saw a decline of 0.1 percent for the month; the better gauge is the annual report. There, Seattle home prices were up 3.4 percent in August from August, 2011. In a written statement, David M. Blitzer, the chief of the index committee, highlighted the climbing prices: "The sustained good news in home prices over the past five months makes us optimistic for continued recovery in the housing market." "News on home prices confirms other good news about housing. Single family housing starts are 43% ahead of last year's pace, existing and new home sales are also up, the inventory of homes for sale continues to drop and consumer mortgage default rates are reaching new lows." The Wall Street Journal has a bracing reminder of how far home prices have fallen, by comparing recent home prices to those three and a half years ago. When prices in July, 2011 are compared with prices in January, 2009, the Standard & Poor's/Case Shiller Index is down 3.7 percent.